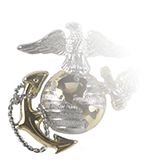 Although the Combat Systems Operator (CSO) badge traces its history almost as far back as the use of military aircraft itself, it has only been issued under its current title since 2009. 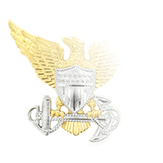 Originally, the CSO badge was known as the Observer badge, something of a catch-all designation for aircrew accompanying military pilots and performing duties such as observation and navigation. 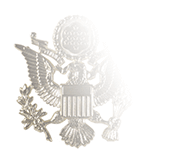 With the increasing complexity of military aircraft and the need for Airmen to be highly trained in specific types of duties and equipment, the U.S. Army Air Forces began to issue more specific aeronautical badges for crew positions such as Gunner, Bombardier, Engineer, and Navigator. 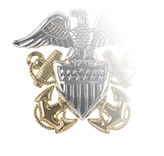 The first Navigator badge featured a winged design similar to the U.S. Army Air Forces Pilot badge, but instead of shield the wings were centered on an armillary sphere (a representation of a globe with the orbits of objects in the sky and longitudinal and latitudinal lines). In 1951, four years after the United States Air Force was created as a unique branch of the armed forces, several badge designs (Bombardier, Observer, Navigator) were shelved and replaced with a single badge featuring the Air Force shield in the center, and aeronautical ratings for Navigator and Bombardier were combined into one (Navigator). The Observer rating was retained for Electronic Warfare Officers, but this soon gave way to its inclusion into the Navigator rating as well. With the creation of the Combat System Observer aeronautical rating, it became the rating that was awarded to any individuals who CSO Undergraduate Flying Training after October 1, 2004. From that point on, a single aviation badge could now be worn for three different aeronautical ratings: Observer, Navigator, and CSO. The CSO rating is open to officers in ten Air Force Specialty Codes (the duty descriptions of seven of them includes navigation). Because of the far more expansive duties of the Combat System Officer rating, CSO ratings aren’t available to Navigators. 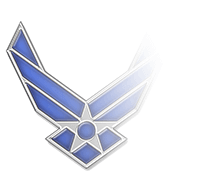 And while the Air Force still awards this badge for Observers, the only personnel eligible for it in that rating are USAF officers who’ve qualified for missions aboard NASA’s Space Shuttle, have actually flown a mission aboard it or on the International Space Station, and who don’t have an aeronautical rating as a Pilot, Navigator, or CSO.